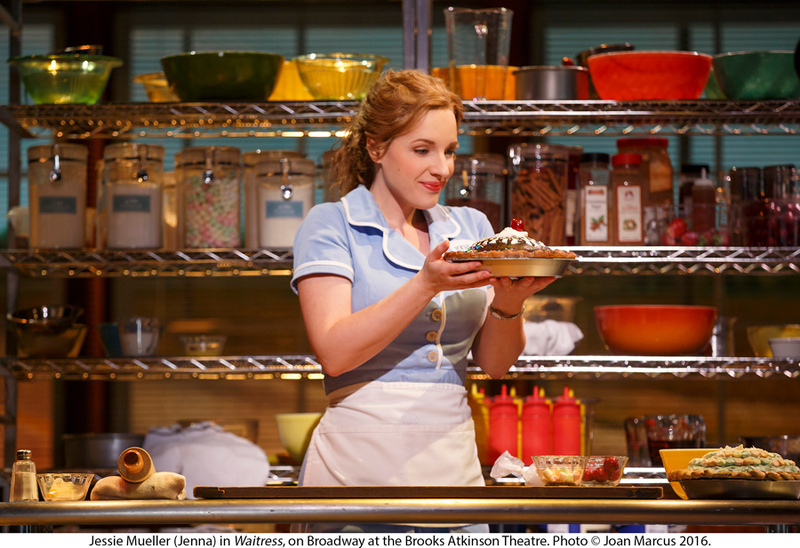 Jessie Mueller stars in Broadway’s “Waitress” in 2016. Mueller graduated from Evanston Township High School in 2001 and went on to make a name for herself in the Chicago theater community and on Broadway. It’s any aspiring actor’s dream to end up in New York — the city that never sleeps and the illustrious home of thousands of budding Broadway stars. But when Jessie Mueller graduated with a theater degree from Syracuse University in 2005, she made a turn for the unexpected; she moved back home to Chicago. It might sound like a humble dream for an actress who would later win the 2014 Tony Award for Best Lead Actress in a Musical as Carole King in “Beautiful” and land major roles on Broadway hit shows “Waitress” and Rodgers and Hammerstein’s “Carousel.” But for Mueller — born and raised in Evanston — it made perfect sense. The daughter of two Chicago-based actors, Mueller fell in love with live theater and the Chicago arts community at a young age by attending dozens of shows and watching her parents perform. However, it wasn’t until she attended Evanston Township High School that she found herself in the spotlight. Aaron Carney, the theater director at Evanston Township High School, recalls having Mueller in the first class he ever taught, when Mueller was just a sophomore. Despite being a new teacher in his mid-twenties who “had no idea what a teenager was,” he immediately recognized Mueller’s effortless acting ability. Carney described Mueller as very much a “theater kid” who shined in acting classes and productions, and made the theater her home while at ETHS. She had a raw talent that needed little guidance, he said. In one acting class, he remembers Mueller performing a scene where she walked into an apartment wearing a raincoat. She played the character flawlessly and brought some to tears — but it never occurred to her to take off the jacket during the scene, he said. After graduating from ETHS in 2001 and then attending Syracuse, Mueller got what she wanted and more, making a name for herself in the Chicago theater scene. She performed in various productions for Chicago Shakespeare Theater, Marriott Theatre and Goodman Theatre, and was crowned Theater Chicagoan of the Year by the Chicago Tribune in 2011. Soon after, Mueller finally packed up her things and headed to New York, where she made her Broadway debut as Melinda Wells in a revival of “On a Clear Day You Can See Forever.” While she’s now one of the Broadway’s most sought-after actresses, she still takes pride in her Chicago roots. Aside from her “angelic voice” and “magnetic” persona, Carney said it’s Mueller’s genuine acting ability that has allowed her to reach such famed heights on Broadway. In 2016, Mueller starred in the musical “Waitress” on Broadway, playing a young pie chef named Jenna who faces an unwanted pregnancy while struggling with an abusive relationship with her husband Earl. Communication senior Samantha Casesa watched “Waitress” on Broadway twice — once with Mueller, and another time with Katharine McPhee in the lead role. Casesa said the two productions struck different tones as a result, with Mueller shining in the more theatrical demands of the show. Among the theater community, Mueller is often referred to as a “vocal chameleon” for her incredible ability to adapt her voice to seemingly any character — from the pop tunes in “Waitress” to the more classical sound of “Carousel.” But even after four Tony nods, six Broadway shows and a slated gig at the Kennedy Center in “The Music Man” next month, Mueller retains her Midwestern charm and humility. “I always learn something from whoever I’m playing and I’m just really fortunate that people thought outside the box and allowed me to do the same,” Mueller said.